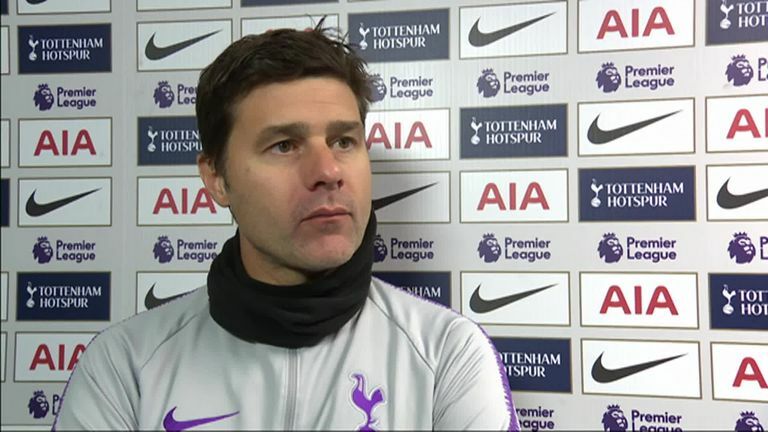 Mauricio Pochettino was happy that Tottenham bounced back from their midweek defeat to Barcelona with a win over Cardiff but acknowledged that his team must "improve a lot" if they are to compete for major honours. After Eric Dier had put Spurs 1-0 up inside the opening eight minutes, it had looked like they would go on to enjoy a comfortable afternoon against a side yet to win in the league this season. The home side were unable to extend their advantage, though, even after Cardiff were reduced to 10 men following Joe Ralls' sending off. Nevertheless, the result moves Spurs into third in the Premier League table and Pochettino felt that the result demonstrated Spurs' squad depth with a number of key players out injured. "When you lose games the expectations and the criticism arrives and you need to accept that. We are there [in the top four] but I think we all agree that we need to improve a lot if we are going to be a contender and in the top four at the end of the season," Pochettino said. "It was a difficult game. After the Barcelona defeat, it was so tough and difficult and you know that you're going to play a team that is so fresh and so aggressive. "I'm happy with the three points and to move closer to the top and after Barcelona it was so important to have the feeling of victory again. "We trust and believe that we have a squad to be a competitive team and of course we're disappointed by the injuries - this is why we build a squad so that in every moment they can help you." 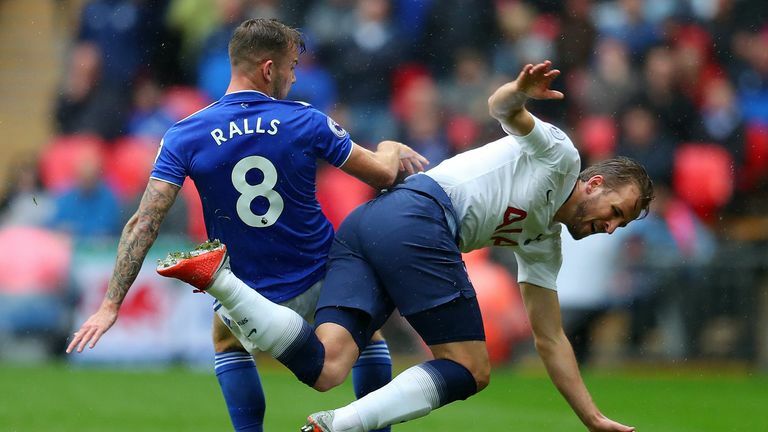 Neil Warnock was disappointed at the red card decision and claimed that referee Mike Dean had been influenced by Spurs' players, including Harry Kane. Pochettino disagreed with Warnock's assessment, though, saying: "I think it was a sending off but in life you respect other opinions. I'm sure the other team will say it was not, but we have to trust in our referees and that decision was one that we can agree or disagree on but it happened." Dier stepped up to score the winning goal and it was his first in the Premier League for 18 months, stretching back to a 4-0 win over Watford at White Hart Lane in April 2017. "I think it was easier than a penalty! But he was there and he scored. I'm happy for him, happy for the team," Pochettino said of Dier's strike.